This amp has lots of power and sounds clean and detailed. It can drive hard to drive speakers while not losing control or finesse. With a good tube preamp, the sound is liquid smooth with lots of detailed highs and deep bass. It can sound tinny and harsh with cheap speakers or bad sources. I agree with the bulk of the reviewers. Acurus a250 mated with Counterpoint 3.1, and with Thiel 3.5 speakers are musical, smooth, and very true in tone and presentation. Thiels are well known to require a certain quality to drive them to get the best out of them. The Acurus mated with the tube pre-amp from counterpoint created a richness than was difficult to match from most all of the compeition. I had a friend that owned a high quality stereo store back in the 90's and 2000's. I used to take the counterpoint and Acurus up to have him audition the pair with different speakers and against new equipment as it rolled in the door. That combo put all but the $20,000 systmes to shame. In my theater room, I ran a Proceed AVP with ADP and a Carver AV806x. The Proceed was likewise an excellent mate with the Acurus, but I think the tubes played off of the Acurus the best. It's all been said in the reviews in this forum. The Acurus A250 is a fine amp, especially for the money. I bought mine new in 1993, along with the matching L10 preamp. I mate the combo with a very revealing pair of Martin Logan hybrid electrostatics (completely passive) and get crazy smoothness, detail, depth, width, and control. I once heard a similarly powered Aragon amp, which had even more bass depth and control, so that's why I give the amp four stars instead of five. After owning the amp for 20 years and running it through the same power conditioner the whole time, I finally got a wild hair and wondered what it would sound like plugged directly into the wall. Well, I did that, and then my wife and I laughed out loud. The transparency increased by a whole lot. It wasn't subtle. Then I almost cried knowing that I spent 20 years with sound that was not as good as it could have been. Anyway, it's like I have a whole new amp! 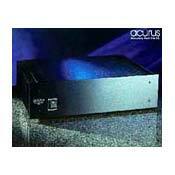 The Acurus A250 is one of the most powerful amps in their line and this is a great all-around sounding unit. I like the fact it has plenty of power to push most hard to drive speakers with ease. Once you've matched the unit with high quality equipment one can hear all the little details from the speakers. This unit is a well built with very clean plain and simple model with great very detailed broad sound-stage to it. This is a very musical and robust power amplifier can have a major improvement in any system with appropriate matching equipment and no worries driving speakers like Thiel's, Hale's, Vandersteen's. Don't find them much in the used market due to owners tend to keep them long, if you find one highly recommend, as you'll like what this powerful amp has to offer. I bought this piece from a dealer that had it burried in their stock room, new old stock for $400.00. Hooked it up to a pair Usher loudspeakers. A/B it to my McIntosh amp with HiVi speakers, the unit sounds neutral, clear and accurate. Most problems of harshness or brightness is most likely caused by having inferior speakers, preamps or other source components. Great sounding, great buy for an amp, if you can find one. Strengths: Great neutral, clean amp, built to last amp for a great price. Weaknesses: Must be matched to other high quality componests to get best sound quality. Hivi, Vifa, JBL and Usher monitor speakers. I totally agree with you automaticmojo. It's as simple as garbage in, garbage out. You have to sit down and listen. Not for one minute. Try hours of listening and let your ears adjust to the sound. Tha's what I did. First I thought it was bright. Well it was not. It sounded way better that my modified Dynaco ST70/VTA amp. I'm talking wider sound stage, transparency, reat imaging and presence, very dymamic. right amount of bass, and great with vocals. I listen to classic and modern jazz, classical, motown, and the more I listen, the more I get into the music. I can listen for hours with no fatigue. Forget about the reviews. Audio is all about matching. Expensive does not mean it will give you the best sound, you are wrong brother. I got mine for $400 and I can say it's a great score. First off, I am quite positive the main reason this amp had gotten some bad reviews here probably has more to do with a marginal Stereophile review than anything. I think many of their earlier reviews lauded those solid state amps that had a tube sound, or should I say perhaps a worn tube amp sound with out of spec caps, etc i.e. over emphasised midrange, with veiled highs and muddy, wallowing bass. The owners manual clearly states that it requires around 250 hr of break in to reach it's fullest potential. Any brightness you may have heard early on is gone by this point. Other than a good power conditioner, no special cables are needed in my experience. I use Blue Jeans cables, and they sound fine. This amp reminds me of my H/K Signature 1.5 amp-nuetral, clean, no add-no subtractions, withn loads of reserve as well. I use a H/K PT2300 to drive this amp, which powers a pair of restored and upgraded 4 ohm ESS AMT3's- very revieling speakers. I have also had very good luck with a H/K Citation 21 (US built unit) as well. With the Great Heils, if this amp had any sort of brightness, it would be readily apparent with these speakers. It has none- I run the tweeter control on the speakers in it's normal postion, but even with it in the bright posistion, it doesn't sound overly bright. My recommendation is if your looking for a superb sounding amp, for difficult speakers to drive, 4 ohm units like Infinities, etc, this amp will fit the bill. If it hasen't had the required hours on it, make sure you give it some time. I read many reviews here, and it continues to amaze me how many people are so quick to trash a product (or ride the Stereophile bandwagon-lot's of those people here) with out really finidng out how to use the product properly. I think they get a kick out of throwing wrenches in the works-and probably is a trait of their character-believe those reviews with some reserve and caution-as they seem to provide little real helpul or informative information. Danny Downers, anfd proud of it! Give this amp a chance, and I guarantee would will be rewarded with clean, dydnamic reliable sound for many years-and a bargin IMHO for the $300-$375 they seem to go for. As an Acurus fan I really thought this Amp would do the job. Great build quality, lots of horsepower. Musical no way. Just sound that can get real loud. Very disappointed. For tin ears only.